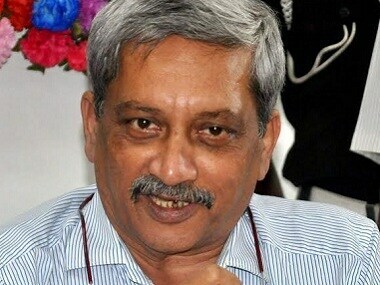 Panaji: The BJP-led coalition government in Goa under Manohar Parrikar completed 100 days in office recently with one of its constituents hailing a "more mature" Parrikar and the "pro-people" agenda of the regime. However, opposition Congress termed the first 100 days of the government as a "non-starter". In the backdrop of the BJP failing to secure the popular mandate in February's Assembly polls and finishing second behind the Congress, Parrikar pulled off an impossible task of stitching the rainbow alliance, which comprises the Goa Forward Party (GFP), the Maharashtravadi Gomantak Party (MGP) and three Independent legislators. This is Parrikar's fourth term as the chief minister of the coastal state. He first served as the chief minister between October 2000 and June 2002, then from June 2002 to February 2005, and in March 2012 and November 2014. 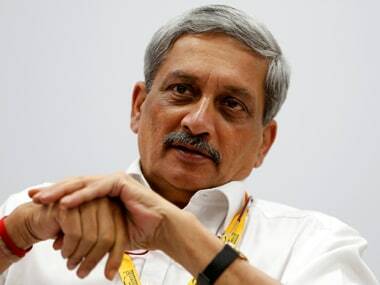 He had resigned as defence minister to take the charge of Goa after the poll results were declared in March. The BJP leader took the oath of office on 14 March. Parrikar won the Supreme Court-mandated floor test in the Assembly in March by winning over the reluctant GFP, led by Vijai Sardesai, a known critic of the chief minister. In the 40-member House, the current strength of which has been reduced to 38 following the resignations of a BJP MLA and a Congress MLA, the BJP has 12 members, the Congress 16, the MGP (3), the GFP (3), the NCP 1, besides the three Independent legislators. Parrikar, a Rajya Sabha member, is yet to get elected as a member of the Goa Legislative Assembly. Panaji MLA Siddharth Kuncalienkar (BJP) resigned in May, apparently to vacate the seat for Parrikar, whereas the Congress' Vishwajit Rane quit after switching over to the BJP. Parrikar recently unveiled a Common Minimum Programme (CMP) document which would serve as a "guiding force" for his government. The document largely comprises the agenda of the BJP's allies, which includes re-classification of the coconut trees, shifting the casinos, bringing a land-use plan and introduction of the Transfer of Developmental Rights (TDRs). While Parrikar refused to be interviewed on completion of 100 days in office, the allies reiterated their support to the government. Sardesai, who contested the election against the BJP, told PTI that the chief minister was a "more mature person now", compared to 2012 (when the BJP had won the popular mandate). "The 2017 (version of) Parrikar is a mature one. There are certain whiskies which are 12-year-old and 18-year-old. The 12-year-old whisky is also nice, but the 18-year-old is more mature and therefore, more expensive and tastier," he quipped. On the completion of 100 days of the government, Sardesai said, "Non-political issues, which affect the common man, have been addressed effectively. One of these issues is garbage. The chief minister has talked about bringing a scientific garbage treatment facility and a substantial progress has been achieved in that regard." "So, the issues which are not meant to inflame the passion in the people, but those which affect the common man and which are non-political in nature, are being addressed by the government and I am thankful for this." 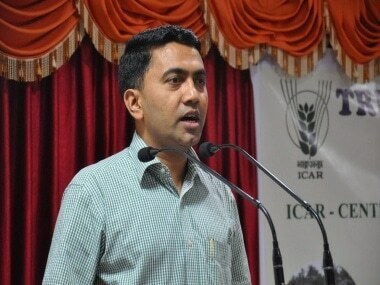 State Revenue Minister and Independent legislator Rohan Khaunte said the performance of the government had been "satisfactory". "I would say the first 100 days were very satisfactory because as a coalition government, we have started working effectively towards the Common Minimum Programme. "Each minister understood the functioning of his respective department in two months and now, they are planning to deliver the goods by overhauling the entire system to cater to the common people," he added. Khaunte said the government was working for the common man and implementing various measures. "In the last 100 days, we have accomplished a lot and I think, the chief minister is categorical and clear about the vision as regards Goa's development," he added. 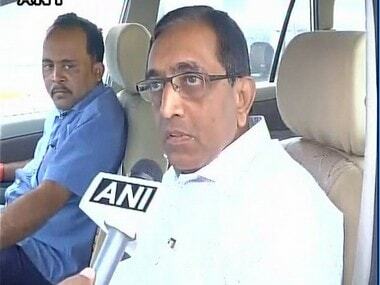 Health Minister and former Congress leader Vishwajit Rane said he was "extremely comfortable" working with Parrikar. "He (Parrikar) gives me enough freedom to work. If there is any issue, we sort it out through discussion. Till date, there has not been a point of friction on any front because we work with an open mind," he added. 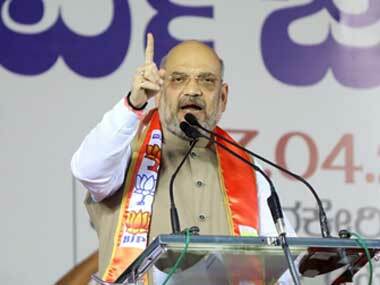 However, Congress secretary Girish Chodanakar said, "The 100 days of the government have been a non-starter. No pro-people measure has been initiated. Parrikar is busy trying to balance the coalition." Though Parrikar has by and large avoided controversies, a testing time came when the Centre issued a notification banning the sale and purchase of cattle for slaughter at the animal markets. The state government had said it would write to the Centre raising certain objections to the notification. On the issue of banning beef, as demanded by the Vishwa Hindu Parishad, Parrikar had said the state would follow the existing law. Recently, the chief minister was in the headlines when he recommended an audit of the reimbursement claim of Rs 16.86 crore, raised by the state electoral officers against the expenditure incurred by them during the Assembly polls.